What are the different of housing options available in Singapore? We can broadly split the options into Public/Quasi public and private housing. Housing and Development Board (commonly known as HDB, a statutory board of the Ministry of National Development) flats are regulated and maintained by the government. They are meant to be an affordable housing option for Singapore residents, and government subsidies are available for the purchase and financing of these. They are typically located in self-sufficient clusters known as housing estates where a concentration of HDB blocks are supported by amenities such as supermarkets, food courts, coffee shops, clinics, malls, parks and a good public transportation network (via trains and buses). More than 80% of Singaporeans live in HDB flats, with more than 90% of them owning the home they live in. To buy an HDB flat, you need to meet a number of eligibility requirements, the primary one being the possession of a Singaporean citizenship or Permanent Residence (visit www.hdb.gov.sg for more information). Studio apartment sizes range from 377-484 square feet, and are meant for senior citizens who want to live independently. They are renovated with elder-friendly features and are sold on 30 year leases, making them more affordable than other options. 2-room flats are usually under 500 square feet and contain a master bedroom, kitchen, living area and storeroom. They are meant for lower income households. They are the private housing equivalent of a one bedroom apartment. The floor area of new 3-room flats range from 646 to 700 square feet and they come with one master bedroom, one common bedroom, a kitchen, living area, common bathroom and storeroom. They are the private housing equivalent of a two bedroom apartment. 4-room flats are typically under 1000 square feet in size, and have a master bedroom, two common bedrooms, a kitchen, living area and storeroom. They are the private housing equivalent of a three bedroom apartment. 5-room flats are around 1200 square feet and have a master bedroom, two common bedrooms, kitchen, a separate living and dining area, and storeroom. They are meant to provide a larger living space for extended families of 4-5 members. They are the private housing equivalent of a larger three bedroom apartment. Executive flats are typically around 1400 square feet in size, and have a master bedroom, two common bedrooms, a kitchen, separate living and dining area, storeroom, and space for a study room. Some executive flats come with a balcony as well. They are the private housing equivalent of a 3+1 or four bedroom apartment. Design, Build and Sell Scheme (DBSS) flats are built by private developers who have to bid for the land, design and construct the flats. They usually come with minimal finishings and look more like private housing but without the facilities. The HDB provides housing loan and conveyancing services to eligible buyers. The income ceiling to buy DBSS flats is also higher at $10,000 instead of the regular $8,000. Executive Condominiums are a hybrid between public and private housing. They were introduced by the HDB to cater to young graduate and professional Singaporeans who wanted higher quality housing but could not afford private property. They are built by private developers and have condominium facilities, and the income ceiling to buy them is $10,000. But they also have restrictions such as the Mininum Occupation Period of 5 years before they can be sold, and from Year 6 to 10 can only be sold to buyers who meet HDB’s eligibility requirements. From the 11th year all restrictions are lifted and they can be bought and sold freely, even by foreigners. Private housing can broadly be categorized into non-landed and landed property. Condominiums are high rise residential developments that usually come with facilities such as a swimming pool, gym, security, BBQ area and so on. Technically a development is only called a condominium if it sits on a site that is larger than 4,000 square meters (43,056 square feet). Apartments are medium to high rise residential developments that are situated on a smaller plot of land than condominiums and typically have fewer facilities. These are houses that share common walls with neighbours on both sides, unless at the end of a row. These houses share one wall in common with a neighbour. These houses do not share a wall with other houses and are located on their own piece of land. 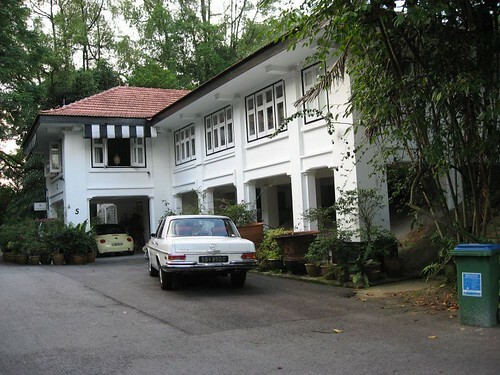 Good Class Bungalows are an exclusive category of detached homes with a minimum land plot size of 1,400 square meters (15,070 square feet) in prime landed areas such as Nassim Road, Cluny Road, Tanglin Road, Duchess Road and King Albert Park. 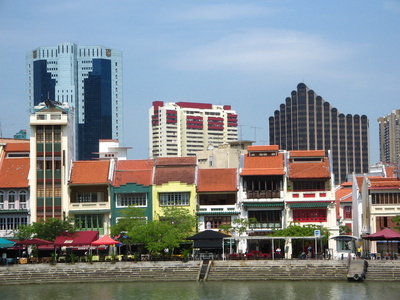 A unique architectural feature to Southeast Asia, shophouses are terraced rows of low rise buildings with narrow frontages but deep rears, and typically have shops on the ground floor with accommodations on the upper floors (hence the name). Thanks for the compliment June!